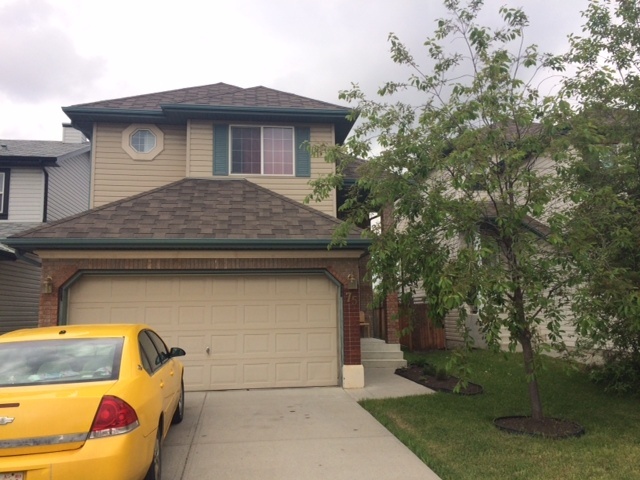 Spacious 4 bedroom two story in centrally located Saddleridge. You will be impressed by the large foyer leading you into the open floor plan. Newly painted in designer colors. Spacious kitchen features large eating area with bow window. Main floor great room enhanced with gas fireplace. Save energy as this will heat the main floor in the winter. Half bath on main for your convience. Upstairs boasts 3 bedrooms and 2 four piece baths. Master bedroom features ensuite and walk in closet. You will find laundry on the 2nd floor to save you steps. This property features a fully developed basement with separate entrance. Basement features 4 piece bath, and bedroom/living room. Close to all ammenities.